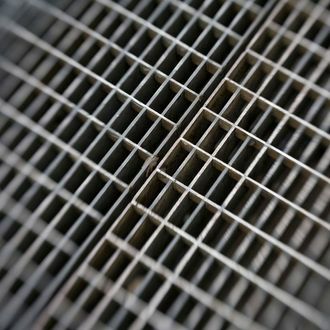 A Queens man was injured on Tuesday morning after he fell 20 feet into a subway grate, officially confirming New Yorkers’ tenth-worst fear. The unnamed man accidentally dropped his keys into a subway grate around 10:50 a.m. Tuesday, then tried a series of increasingly MacGyver-y moves in an attempt to retrieve them. After he failed to snag them through the bars with a string, he lifted the grate, dropped a ladder in, and tried to climb down inside. That went predictably terribly, and the man slipped and fell 20 feet down the hole, injuring his right leg. The FDNY was dispatched to retrieve him, and he was taken to Bellevue Hospital, where he’s listed in stable condition. Next time you drop something valuable into a subway grate, just call 311.